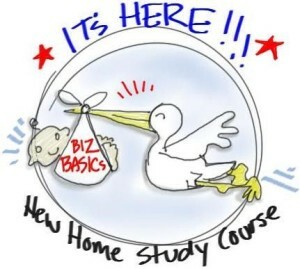 I'm thrilled to report that we had a spectacular launch to the new Biz Basics for Process Professionals (Home Study Kit). 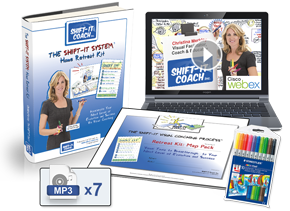 Feels SO GOOD to get this practical info rolled into a handy 24/7 available product and into the hands of the up and coming consultants, facilitators, trainers, coaches, counselors, energy workers, etc who need it. And for the more seasoned folks who have been in biz for a while but need to revamp their brand and offerings. Talking about vacation, I leave on Monday for two weeks for mine! Road trip to Portland to visit with friends, then down to the Californian Desert to attend the Contact in the Desert conference (did you know I have a fascination with space, non-physical intelligence and disclosure topics ... well, you know now!). I'll write about my experience on the blog, I'm sure they will be intriguing, mind bending and probably a little kooky too (how can they not be when a bunch of crazy UFO types get together). Then I'll return to Portland to work with Sarah Moyle (who attended my Fundamentals of Interactive-Visuals workshop). 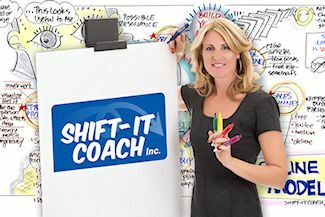 Sarah makes fantastic Whiteboard Animation videos and will be directing me on one I'll be adding to my sites. I'm so looking forward to our collaboration (to her teaching this old dog some new fangled tricks). 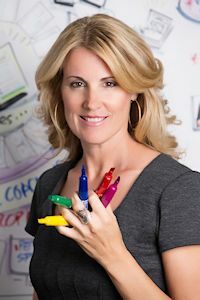 KNOWLEDGEABLE AND WELL ORGANIZED ..."
"Christina Merkley offers a number of fantastic programs (both online and in-person) for personal and professional development in and around the various fields related to Graphic Facilitation. ...her utilization of current technology to be convenient, practical (and highly advantageous)...and, her manner and personality to be professional, yet warm and encouraging as well. I highly encourage other Process Professionals to take advantage of the many wonderful growth opportunities Christina has to offer!" Developing one's craft is only part of the puzzle in having a successful solopreneur practice --- to understand and successfully implement solid business strategies is another. My Outer Work Model to build (or revamp) a 50-300K practice has only been shared with students in my longer-term masterminds. Now this much needed info is available in a condensed Home Study Course (fully online and available 24/7). Topics include: inspiration, identity & brand, structures & banking, offerings and proper sales funnel creation, sales & marketing (including social media), pricing and effective collection policies, tech and administrative support (team building), bookkeeping & accounting, and partnering and joint ventures. AND, the positive mindset and resilience that underscores it all. 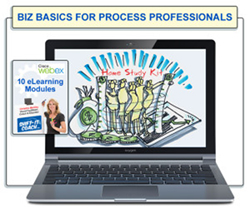 Everything you need to build your expertise into a successful solo practice or small business. We've just refreshed my Private Coaching and Private Training pages ... check out my new Distance Sessions (now with tablet recording via web conferencing!). And, In-Person options in beautiful Victoria, British Columbia, Canada. Private, tailored attention for rapid acceleration. FYI, Repeater Option available for those who have taken this program and want another round. I'm writing this issue of The SHIFT-IT eZine on a new modality I've been exploring and learning this year ... called BodyTalk. A few months ago I blogged about my initial explorations via an in-person special I offered folks here in Victoria, British Columbia, Canada (click here for previous post). I've progressed now beyond doing BodyTalk just in person ... having attended courses on how to do Distance Sessions. Something I have been intrigued by since I first heard you could do this methodology by distance (since the bulk of my clientele does not live locally and distance work is how I work with the majority of my coaching clientele anyhow). I'm happy to report that I'm really LOVING the Distance Sessions. 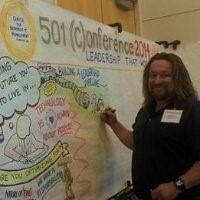 Just like my Visual Coaching and Graphic Facilitation mentoring, nothing beats in-person work (if you can do it, it's the way to go). However, if you can't ... distance work is a very good runner up. Now, I don't mean this in an ego kind of way ... but, I'm a really good coach. I've been doing various kinds of group and individual process work for over two decades now and I know my stuff (yup, lots of mileage, my site photos are compassionately touched up so my crows feet don't show too much!). What I really love and appreciate about BodyTalk is that, if it's a priority for my client, my other modalities can come through too. So with BodyTalk I'm finding I'm effective right off the bat. And the more I do it, the more the inherent wisdom of the methodology is teaching me the rest of its extensive framework.